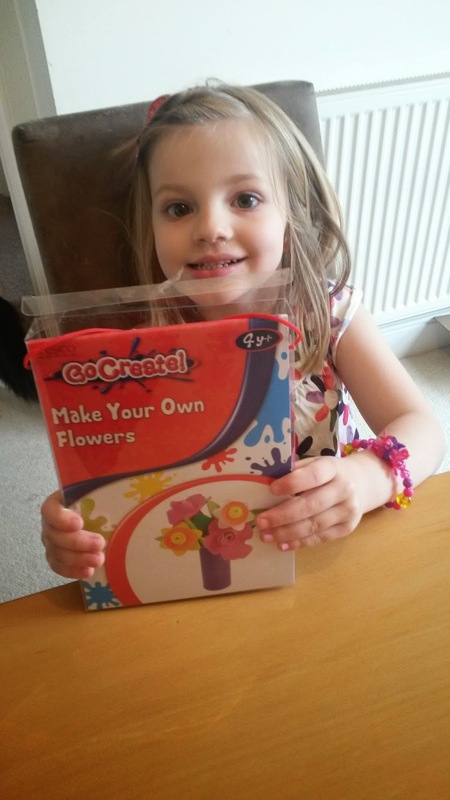 Today J and I did a flower craft by 'Go Create' which we brought in Tesco for about £2-4. 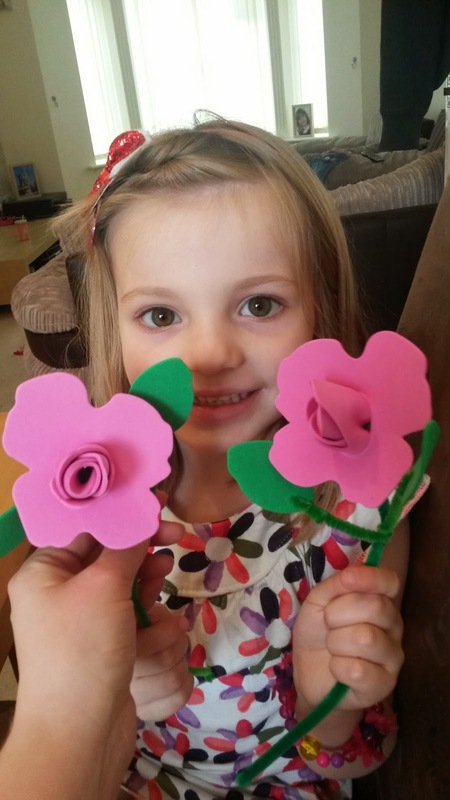 It was originally planned as a mothers day craft activity, and if it turned out well, the plan was to get some more for Grandma and Nanna. However, we never got around to doing it until today. And it came with everything you needed all pre-cut. 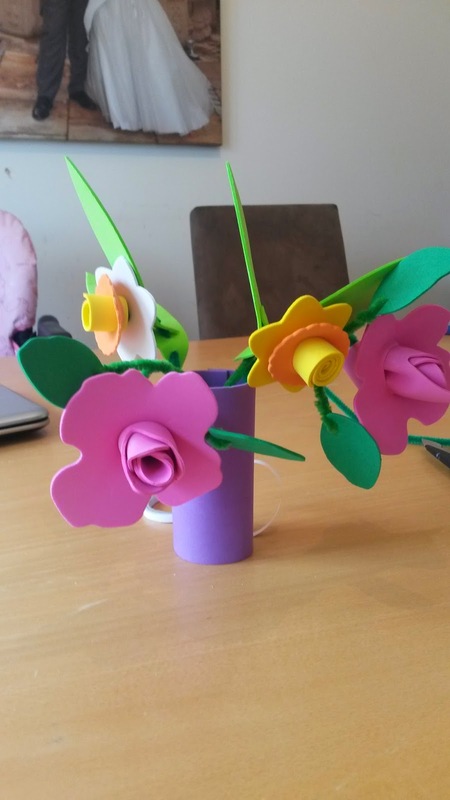 The included enough to do 2 foam roses and 2 foam daffodils and a vase. So I did one and J did one too, as S wasn't well. 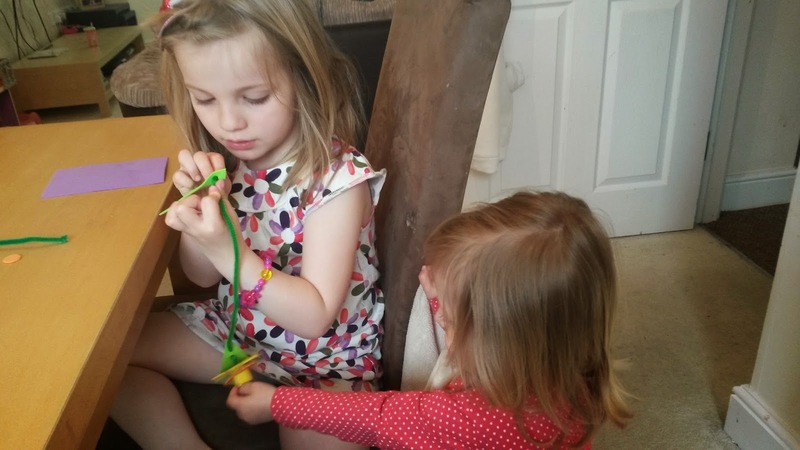 J found it hard to thread the pipe cleaners through the tiny holes as they hadn't been punched all the way through, but found the rest easy to do, as the instructions were very clear. Here is J with mummies rose and J's rose, can you tell which one is which? 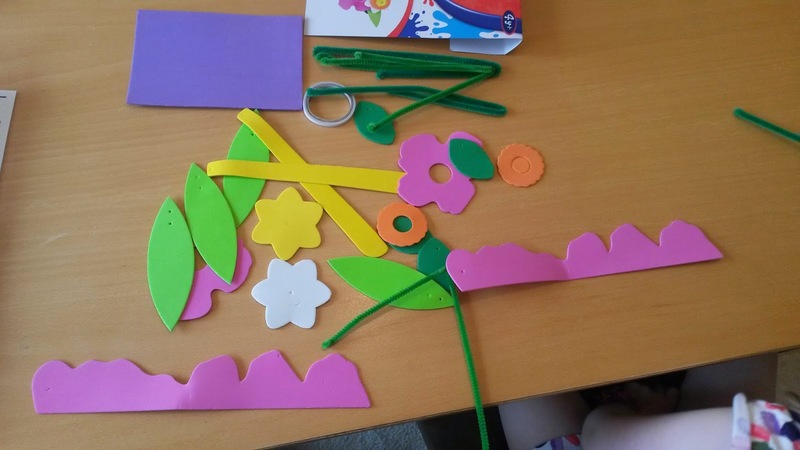 Then it was on to the daffodils, this is when S became aware we were doing something, and tried pulling the flowers off the pipe cleaners. 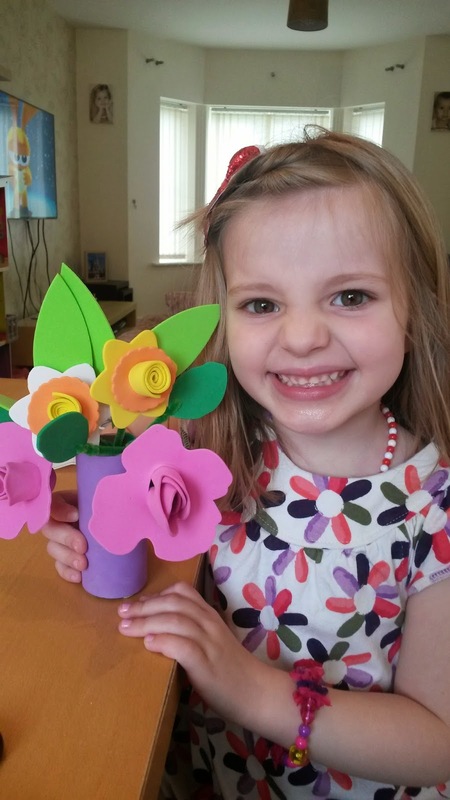 The finishing result was good, but the flowers were very floppy. I rummaged around the recycling bin to find an old kitchen roll tube to line the inside of the vase, which made it a bit more solid and stable. Resulting in a happy J, and a happy mummy, as there was no mess to clean up, and was easy enough for J to join in with. I would recommend this for a 20-30min quiet craft time. J now has them in her room, and is so proud of them, when we placed them up there, she said it was a dream come true. How cute! Her room is a little bare as we are stripping all the character from it with the house move in 2 weeks, so its nice to see a bit of colour back up there again. This review is my own opinion, and I brought the item myself. Easter Holidays - ice cream making! Holiday - Day 4 - BEACH!!!! !